The previous week FOBAS tested a number of fuels from Fujairah that contained elevated acid number (TAN). The tested TAN values were all well above the average for the port (0.12mgKOH/g). Therefore, FOBAS alerts that any such contaminants even at low levels contravenes the stipulations of Revised MARPOL Annex VI regulation 18.3 and International Marine Fuel Standard ISO 8217, Clause 5. As the world is rapidly changing, so does the safety measures and the everyday challenges. LR’s Group Health, Safety, Environment and Security Director, James Pomeroy, share his insights on how these trends will inform HSE strategy. The Lloyd’s Register Fuel Oil Bunkering Analysis and Advisory Service (FOBAS) released an alert on 14 March, in which it warned all shipowners and operators regarding low flash point residual fuels at Singapore. The tested flash points were below the 60°C SOLAS minimum limit, with the results varying between 55 and 58 °C. LR and UMAS released a new study examining three key energy pathways to help identify the actions required for the shipping industry, both at the ship and supply infrastructure level, to transition to a zero-carbon future by 2050, in line with the IMO’s GHG Strategy 2050 ambition. 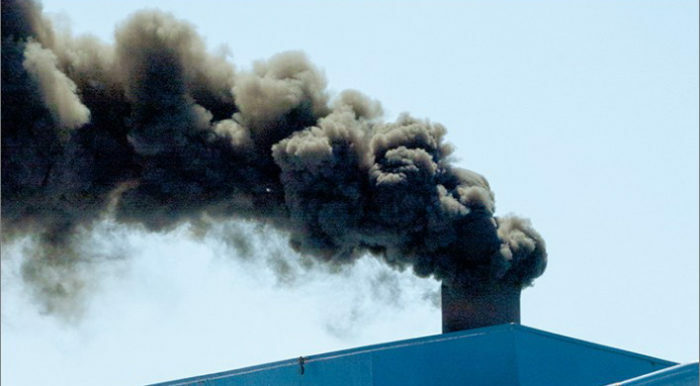 Lloyd’s Register (LR) will launch a new study looking at how shipping can be made a ‘zero-carbon industry’. According to LR’s statement, the study will be issued on January 29, and is a part of its Low Carbon Pathways 2050 Series. LR noted that in order to achieve at least a 50% reduction in CO2 by 2050, it is of a great importance for Zero-emission vessels (ZEVs) to enter the fleet around 2030. Stena Rederi, a part of Swedish shipping company Stena AB, and German Glovis Europe are to collaborate in an attempt to operate car and truck vessels in Europe. Both companies have filed documents with the European Commission’s competition authorities to launch their partnership that will operate short-sea transport services on pure car and truck carrier vessels in Europe, according to Lloyd’s register. On January 9, FOBAS issued an alert informing all shipowners and operators of off spec marine fuel oil at Singapore that according to its testings, the sediment of bunker fuel oil is above the limit as specified in ISO 8217 for an RMG380. Total Sediment Potential results were unobtainable, with samples failing to filter within the 25 minutes given for the test method. Blockchain Labs for Open Collaboration MIT Solve’s Coastal Communities Challenge, for its work in developing shipping Emissions Monitoring Reporting solutions. The Solve’s Challenge Leadership Group judges opted the Solver teams as the ideal set of solutions showing potentials into tackling large-scale global challenges. Samsung Heavy Industries has its smart ship solution, Intelliman Ship, approved by Lloyd’s Register. The smart ship solution aspires to eliminate cyber risks and optimise ships that have remote access to onboard operational data. Intelliman Ship aims to ensure compliance with LR’s new Digital Ships requirements. Cyber security threats are not only increased, but they are becoming a part of maritime daily business. Therefore, it is important all industry’s stakeholders to understand the threat landscape, consider the given guidelines and comply with the upcoming legislation in order to be fully prepared to address the associated challenges.